Pistachio (Pistachio vera) nuts are a crop of great antiquity. They probably originated in Iran, Turkestan and Afghanistan. The major producers of pistachio nuts are Iran, Turkey and California in the USA. Less important producers are Australia, India, Pakistan, Afghanistan, Syria, Greece and Italy. Orchard cultivation in America and Australia has a short history. Of 40,000 acres planted in California, about 90% have been planted since 1970. Australian interest also began in the 1970’s and they have made good progress especially on selecting cultivars suitable for Australian conditions. The pistachio is a small tree similar to the fig in its straggly growth and large deciduous leaves. Its natural habit is to branch at ground level and it is rare for a trunk to develop unless trained to do so. The roots develop a long taproot making pistachios highly drought resistant. They have separate male and female trees which rely on wind and air movement to achieve fertilisation. Summers need to have 7 months growing period, frost free for 200 days, with hot and dry weather into the autumn (similar to the olive). A daily maximum around 30°C is ideal. A cold period is needed in winter to break dormancy. Requirements suggested are about 1000 hours below 5-7.5°C. They cannot tolerate excessive dampness and high humidity. The flowering period ideally should be frost free. This will probably be about 15th to 31st October in NZ. Individual flowers open for 5 days and the trees bloom for 10-15 days. The lowest temperature during fruit set should be -3°C or fruitlets will abort. Pistachios will not tolerate wet feet for a prolonged period. Ideally soils should be deep, friable, well-drained, but have moisture retention. They are capable of surviving in poor, stony, calcareous, alkaline or slightly acid conditions. This makes them valuable trees for reclamation and conservation projects. Although they are tolerant of a range of soil pH, a pH between 7·1 – 7·8 is considered ideal. Kerman – Female. Kernel above average in size. Shells split well and are easily opened by hand. Late blooming, biennial heavy producer. Liked for size, crispness and snap when eaten. Originated in California from seeds imported from Iran. Peters – Male. Good pollen producer. Sirora – open pollinated seedling of Red Aleppo that ripens earlier in Australia. Sfax – Female. Small nuts with high percentage of splits. Relatively low chilling needed. Pollinated by Peters. Grape like clusters easily harvested. Local experience will be vital to match the timing of pollen shed to female reception. Scion cultivars are budded onto seedling rootstocks. Because bare-rooted trees are difficult to transplant because of their dominant taproot, the sooner the young trees are in the field the better their establishment. This necessitates subsequent field-grafting that is quite difficult with often a poor percentage of takes. P. vera is susceptible to nematodes so other Pistacia species are used as rootstock. P. atlantica and P. terebinthus have good resistance to nematodes and soil-borne diseases and the main ones uses in Australia. However both are susceptible to Verticillium wilt, and in California P. intergerrima is now used where this disease is a problem. P. terebinthus is the most cold-tolerant. Seeds may be planted soon after harvest. Scarification of seed shells speeds and increases germination. One method is to spread seeds in a damp "wettex" or towel and keep at 20°C. Germination begins in about 10 days. As seeds sprout they can be transferred to pots or root trainers. A long taproot lengthens quickly so they need putting into extra deep pots immediately. The main root turns black but this is quite normal. Seeds can also be stratified for 2 or 3 months in a refrigerator in moist conditions. Plant in permanent positions as soon as trees are large enough. Use cold stored dormant wood. Budding in New Zealand is probably best done between October and December. Late winter grafting can be done in September/October for smaller numbers is you have plenty of budwood. Support new shoots so they don’t blow out in strong winds. Rootstocks should be at lest 75-100cm high and 1-1.5cm thick at budding height. They should be in active growth at the time of budding. Graftwood is collected mid-winter when the trees are dormant. Budwood can be collected at the same time or just before budding takes place. The main hold-up is the difficulty of budding and grafting but some have been established in Marlborough so results are able to be seen. As female flowers are receptive for only about 4 days, male trees shedding pollen during the first half of female blooming period should be selected. Usually one male tree is planted to 8 female trees as a 3 x 3 block of females with a single male in the centre. Pollination occurs by wind or air drift, although bees may actually take quantities of pollen and thereby reduce fruit-set. A general spacing is 8 x 5m but this may be adjusted to suit your particular needs. Because tree growth is slow many orchards contain temporary filler trees for the first 10 years. Young trees start copping form year 4 or 5. Yields increase until 20 to 25 years. Apple orchard fertiliser will be suitable. Pistachios often show Zinc and Boron deficiencies so regular leaf and soil tests will be needed to keep nutrition correct. Weed control is needed to reduce water competition and disease. Verticillium wilt causes branch die-back and may eventually kill the tree. P. verara is particularly susceptible. Phytophthera parasitica attacks pistachios sited in poorly drained wet sites. Young seedlings may also suffer if kept too wet. Unlike most other nuts pistachios need harvesting from the tree before they fall to the ground. This is because they quickly deteriorate thorough staining and fungal attacks if left on the ground. 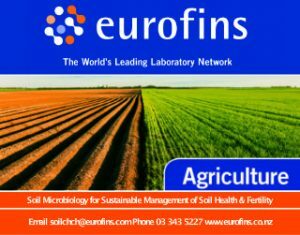 Aspergillus flavus and aflatoxin can be a problem wherever pistachio crops are grown. Moisture content is often 40-50% when harvested so that hulls must be removed mechanically within 24 hours and then rapid drying to between 5-7% moisture is needed for safe storage. Commercial crops are harvested with a tree shaker on to collecting sheets. When hand picking, the fruiting branches are picked off avoiding damage to the adjacent fertile buds for next year’s crop. Pistachios are high in essential amino acids (25%), carbohydrates (16%) and oil (55%) Iranian and Italian nut retain some of their chlorophyll. Pistachios are served principally as roasted salted nuts They can also be used in stuffing, cakes, candies, preserved in syrup and are popular in ice-cream. Slating the nuts may be done with quite simple equipment. Middle East nut shells are often coloured by a red vegetable dye. Unlike other nuts, split nuts are good nuts when it comes to pistachios. Non-splits are largely immature and have an inferior flavour but can be used for oil. Splitting is caused because the shell stops growing in early summer but the kernel continues to grow until autumn forcing the shell apart. Trees usually begin bearing in the 4-5th year after budding, but an economic crop is not achieved until after year 7 or 8. 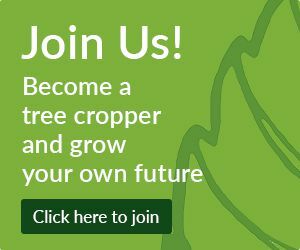 Adult trees average 11kg annually with an average yield of 1tonne/ha. However pistachios are prone to biennial bearing with a heavy crop one year followed by little or no crop the next year. Three kilos of unshelled nuts are equivalent to one kilo of shelled nuts, with most nuts marketed unshelled and salted. Using data from 1991 and assuming an in-shell price of $4·00 to the grower, 100 ha of trees are required for an economically viable orchard. At a higher price of $5·90/kg a 10 ha orchard could be viable. Losses of 30% due to no split, empty and stained nuts should be allowed for. The pistachio’s reputation for climatic extremes has encouraged tree croppers in Central Otago and Marlborough to try establishing orchards. The long, hot, dry summers and very cold winters of Central Otago most resemble the climate of the pistachio homelands. Care is required to select sites with favourable microclimates reducing the risk of spring frosts. The cold tolerant Pistacia terebinthus would appear the most appropriate rootstock to try. There is no data at this stage to know if Kerman or Sirora will be suitable for New Zealand and it is highly likely they will not be, but they are at least growing. New Zealand needs to develop its own cultivars. A Marlborough grower has already cropped nuts so there is no doubt they can mature here. There are some field trial plots in Nelson growing satisfactorily and others still in pots. Other trees have been recorded as having fruited, somewhere in the North Island so it would be good to know exactly where they are. If you can help locate them we would be most grateful. At last report Eastwoodhill had a big lonely female tree. It seems that as well as Central Otago, Marlborough and Wairarapa other places may be worth a try. There is also a trial plot in the Bay of Plenty. Pistachio Action Group – There was interest in establishing a Pistachio Action Group and readers were invited to join and exchange their experiences of pistachio growing. 10 species in the Mediterranean region, Asia Minor, East Asia, North America, Texas, Mexico. In its native areas this plant is often of great economic importance. Leaflets: 10-12, oval-lanceolate, long acuminate, asymmetrical, 5-8cm long, nearly sessile, glabrous. Red colour in Autumn. Flowers: Clustered panicles near shoot tips. Males about 7cm long, females 14-21cm and looser. Uses: Young shoots and leaves are eaten as a vegetable. The nuts are roasted and eaten or used in confectionery. Uses A sweet liquorice flavoured resin, mastic, derived from the bark of the trunk, is chewed as a breath sweetener. It is also used to flavour masticha liqueur, Turkish Delight, puddings, almond paste, cookies, Mabulsi cheese, cakes and candies. The Romans used the fruits as an aromatic seasoning. Seed kernels are the source of an edible oil, known as shina oil of Cyprus. In Sardinia, wild boar and other meats are roasted over mastic wood so the smoke gives distinctive aroma and flavour. Canary Islands, Mediterranean region. Uses: The sweet, greenish seed kernels are eaten or pressed for their edible oil. Immature fruits, along with their stems are preserved in vinegar and salt. Known as astjaar, they are used as a relish to accompany wines served during dinner. Young leaves are cooked and used as a vegetable. The fresh flowers are eaten. Resin from the trunk is used in Iran as chewing gum. Mediterranean region. Uses: Nuts eaten raw, roasted and salted or used in confectionery, ice creams, cakes, cookies, pies, soups etc. They also yield a delicious, gourmet edible oil but due to the high price of the nuts it is not usually produced commercially. Also used for seasoning sausages such as zampone, saucisson de langue, and mortadella. In Iran, the fruits are make into a flavourful marmalade. Eastern Mediterranean to Southwest Asia, cultivated. Uses: Turpentine flavoured fruits called gadum are eaten raw. Excellent edible oil from the very small crushed nuts and used for pastries. Seeds are also pounded with dates. Source of resin like mastic. Also used as rootstock and as pollen source for P. vera. Compiled from notes by: Dhana Pillai, Alexandra, February 1999. Technical Editor: Gail Newcomb. Updated July 1999.